The summer is in full swing! It’s only the second day of activities but it feels like we’re all family already. Today’s chief of the day was John K., a veteran camper who only gets more responsible every year. 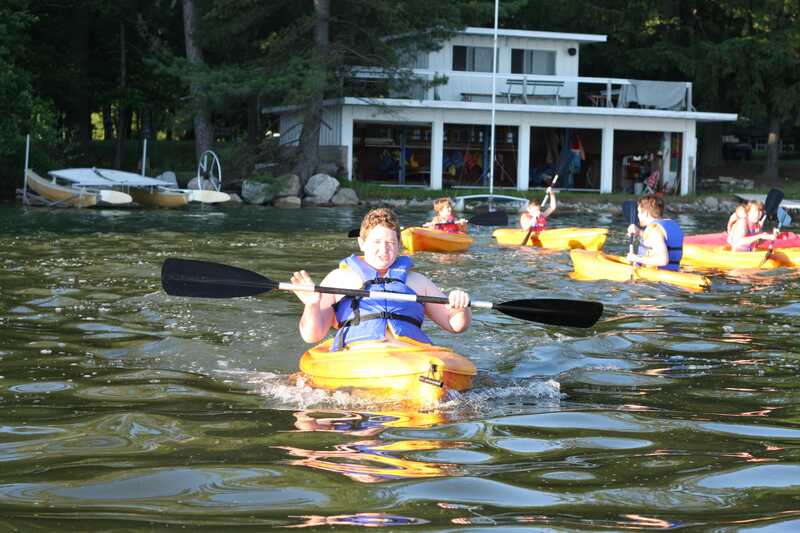 He was honored by waterfront director, Matt Benhke, who said that John is not afraid to ask for help and offers his own help freely to counselors and campers alike. Johnny K. kept us all on schedule and boldly led assemblies while the guys got used to the routine. I spent a lot of time on the water today. 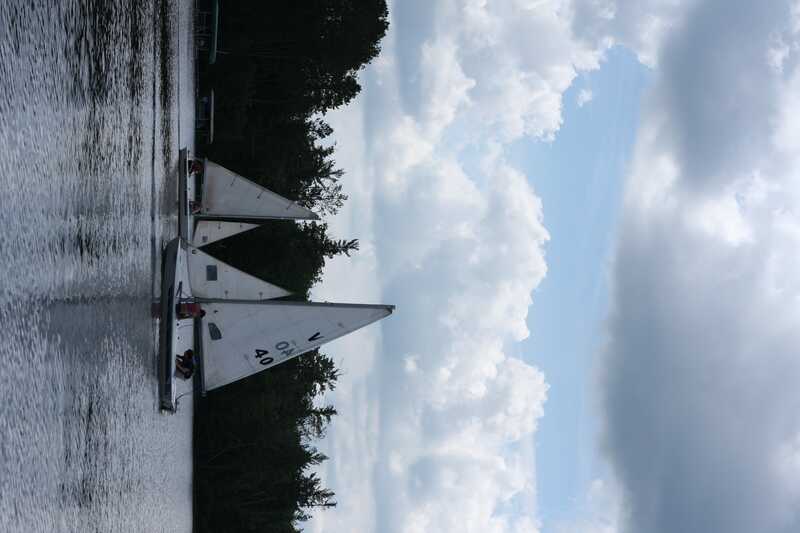 The boys in sail-race, led by myself and brother Will Dellinger, took a pontoon boat tour around Nokomis and determined the optimal placement of our racing bouys. We then practiced race starts, a critical skill to master before challenging the girls of Woodland. Later on in the afternoon, I took Jaime L. and Tommy D. out for an orientation sail. 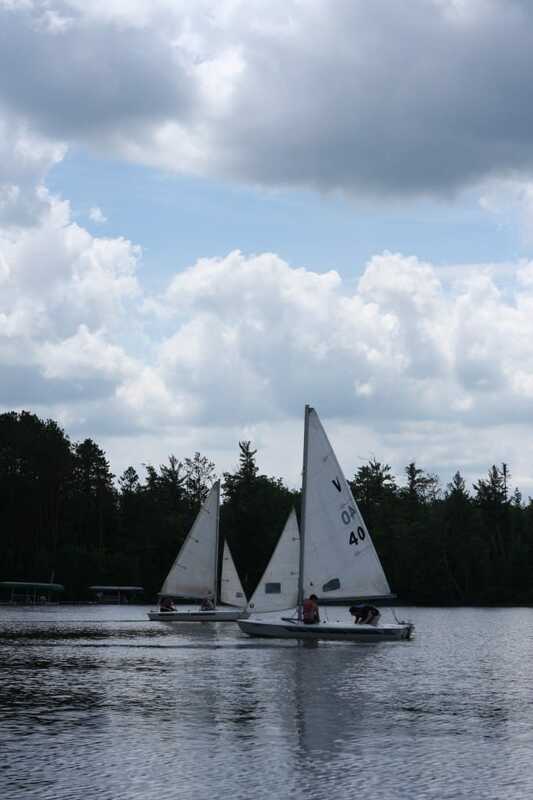 Tommy is trying sailing for the first time this summer and asked lots of good questions about the activity! I hope he sticks with it. Some other first timers have been learning the art of windsurfing from Graham Joss. Sebastian D. and Josh P. practiced their windsurfing skills for the second day in a row and are already showing great progress! We also got some new kayaks today and the boys of Cabin 3 (Menomonee) tested them out thoroughly during evening activities. They cut fine figures out on the water. I haven’t had much time to get around to the other activities, but from the announcements at assembly it sounds like everyone is diving right in! Our theme for this week is making new friends. I can hardly tell who’s been at camp before because everyone is getting along so well! In that regard, I would say the boys are doing a great job of making new friends. While it’s still early, this summer is living up to my hopes already!